Glow and sparkle in this beautiful strapless gown, a classy blend of style and creativeness. It features a fascinating studded sweetheart neckline bodice which is a total stunner. 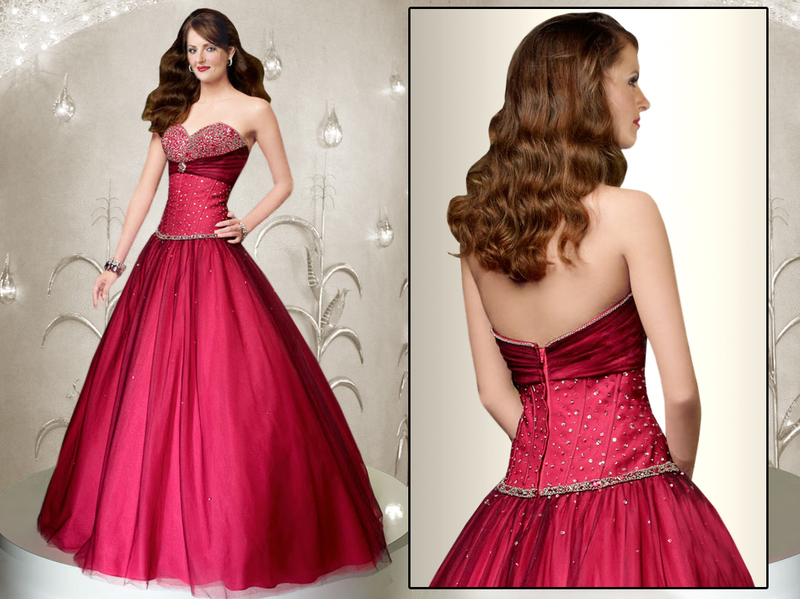 This ball gown will definitely make you look stunning and special. Pair it with trendy jewelry and footwear to complete the look.